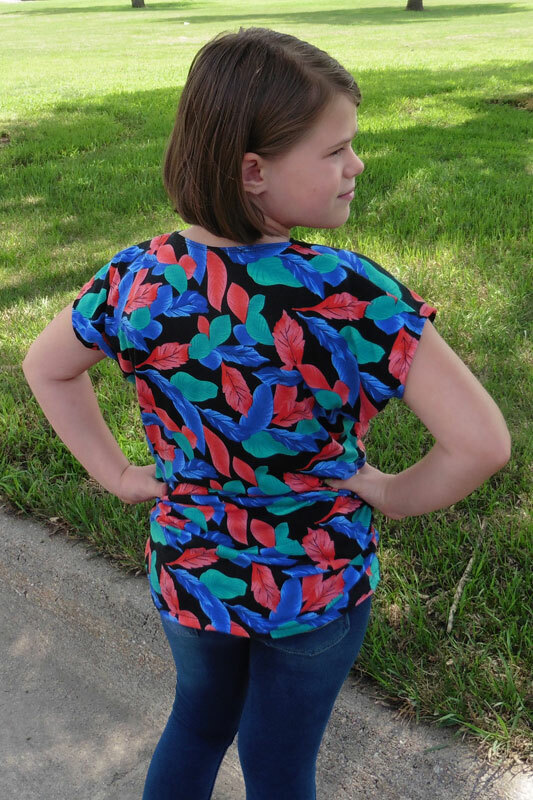 Ruching Carlie’s Dolman for a Fall Top – Everything Your Mama Made & More! With school starting in less than two weeks, I decided it was about time to switch gears from summer to fall sewing. My younger daughter needs a few more shirts since she’s now fitting in the sizing that my older daughter seemed to jump over. I asked if she had any idea what she wanted and a top with “wrinkles down the side” like Kymy’s Dolman was what she had in mind. The only problem was that Carlie’s Dolman Top doesn’t include a ruched version, so we decided to hack it. Luckily for me, this was a pretty easy modification. I simply added some length and sewed the elastic into the side’s seam allowance. 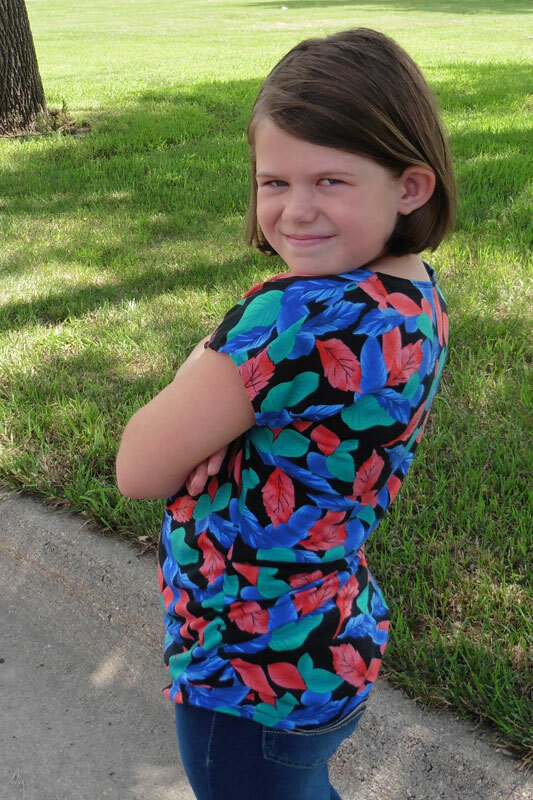 For her size 10, I extended the bottom hem by about 6 inches and then used a piece of elastic 5 inches long. I pinned it about an inch from the bottom hem and then stretched the elastic as tight as I could while sewing it to the seam allowance with a zig zag stitch. Voila! 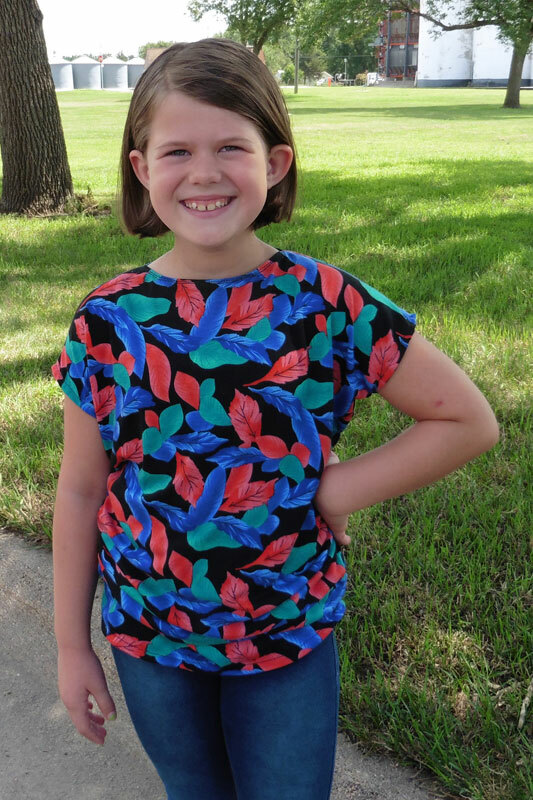 My girlie has a shirt with “wrinkled sides” just as she ordered! She didn’t want to pick out the fabric since she wanted to be surprised, but she was pretty pleased with the colorful feathers/leaves I found in my stash. It’s a cotton jersey and I can’t remember where I bought it, but it makes a perfect Carlie’s Dolman Top to transition into fall. So cute, I think my daughter would like that look as well. Glad you enjoyed the tutorial. Please share a picture here or in the Facebook group if you try it!